Sometime ago, I had the privilege of getting to know Carmen Chan Jewelery through my much beloved style partner, Honore Paris. One look at her creations, and its easy to see how one can fall in love as fast as I did. 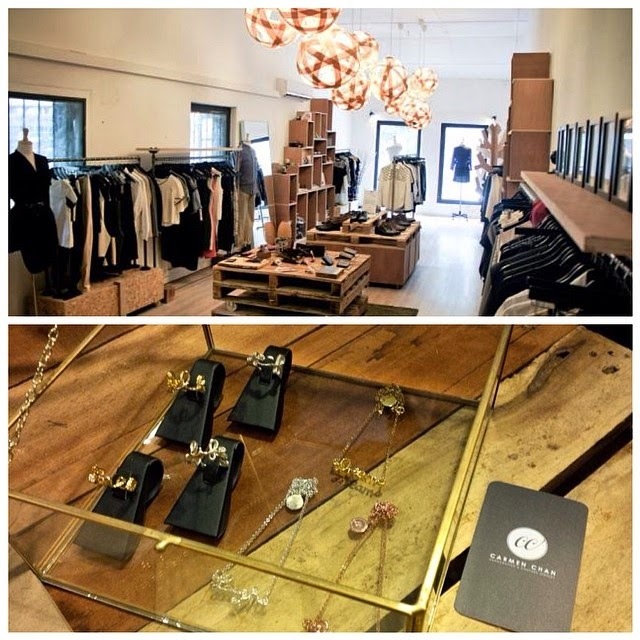 She was recently in Blueprint Emporium earlier this year, and the affable and down-to-earth designer speaks to me about her humble beginnings into the bejeweled trade and shares her thoughts on her latest collection entitled The Universe. 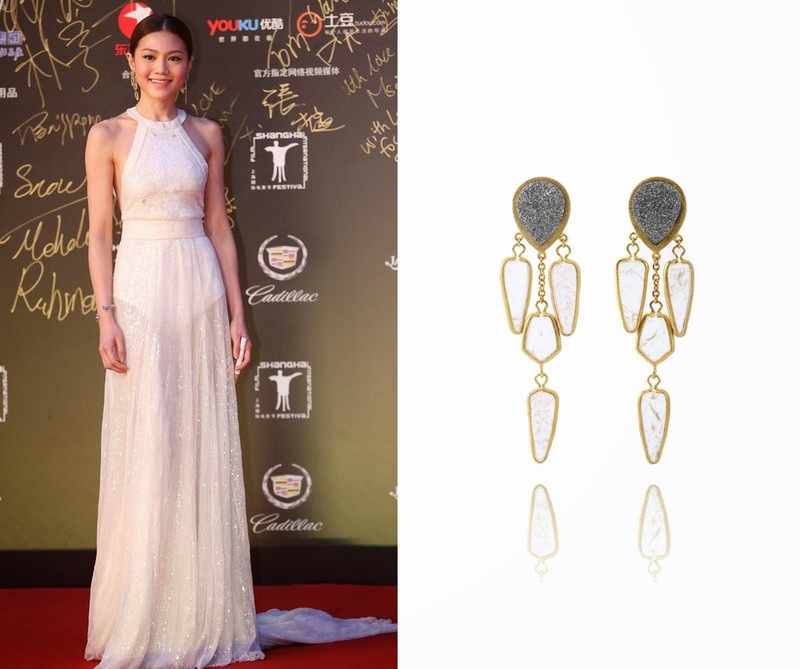 A true-blue, born and raised Hong Kong-er, Carmen previously pursued her studies in Economics and Communications before answering her true calling in life: fashion jewellery making. Training at the hands of several masters in the jewelry line, Carmen began to carve out her own unique niche by infusing her creativity and sharp sense of style with the art of jewelry handcrafting skills. A one-woman show, she oversees everything from the creation, the marketing and the styling of her namesake brand. Hi Carmen! Tell us abit about yourself and what got you started in jewelery design? C: I started my brand in Feb 2013 and it was quite an unintended move when I first launched the label. I learnt my silver craftsmanship skill from an old silversmith master and developed pieces for my own. My friends happened to like them. So eventually I put my items online to sell and it grew like a snowball with media coverage and now stockisting in Hong Kong, Singapore and Vietnam. What usually inspires you for the design/creative direction? C: I think it all starts from the heart. To me, my jewelry has to reflect a character, a concept or a state of mind. "When you want something, all the universe conspires in helping you to achieve it." The Universe Collection is a jewelry collection about finding empowerment from the universe. The designer, Carmen Chan, channel her fascination of the mysterious universe into her latest collection entitled simply as The Universe. “The nature leads you become who you are step by step. Faith within is an empowerment and I want my wearers to feel empowered.” The designer explained. 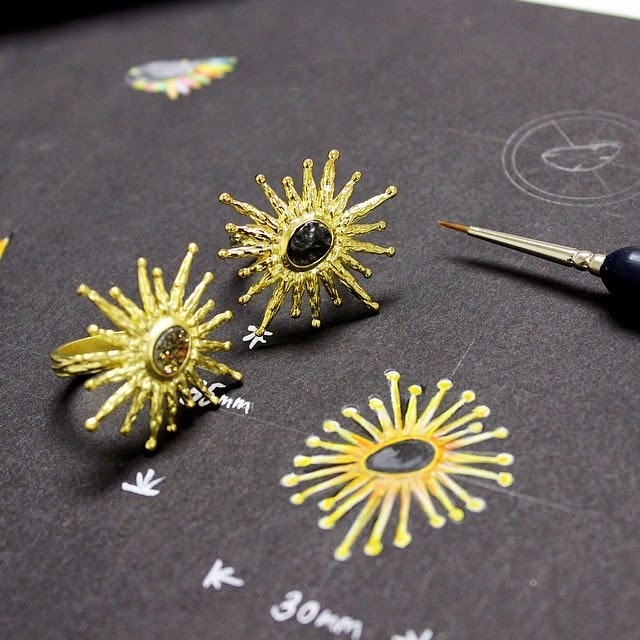 Inspired by the alluring universe, the collection consists of rings and earrings, made by rare extraterrestrial material.The stones are collected around the globe from Africa, Brazil, India, Thailand, and USA." - Carmen on The Universe Collection. What kind of materials do you usually work with? C: Since I started my brand with handcrafted silver craftsmanship, it makes sense that sterling silver has been used for multiple collections. But I am a mercurial experimenter so, for example, in the new Universe collection, I used different semi-precious stones like Sunstone, Moonstone, Druzy, Rock Quartz from different countries. Among all, Tektite which is a stone formed during extraterrestiral impact on earth with over 14 million years of history is my personal favourite in the new collection. Font jewelery seems to be trending recently. 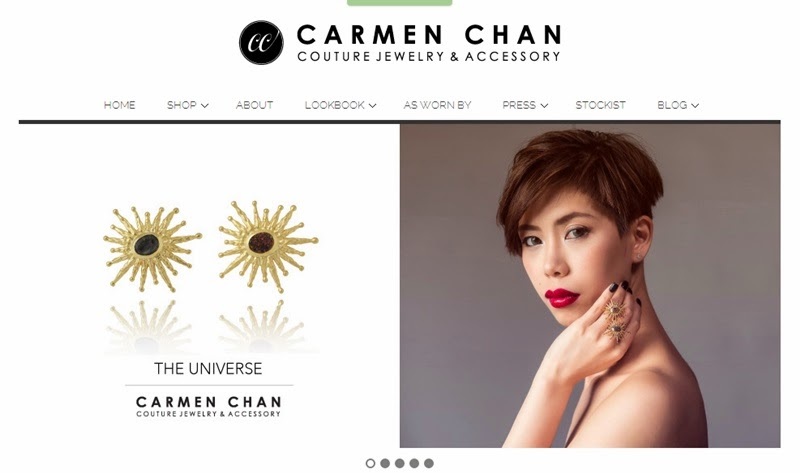 What do you think Carmen Chan Jewelery has that sets it apart from the rest? C: The concept of my Messenger collection is to carry message in daily life - that's why I picked the message "Live life" and "Feel love" in the ring design. If you look closely at the ring, you can also see each ring is a bit different from another as they are handcrafted - and they are not made in wire (as a lot of people asked me). How do you want women to feel when they wear your special pieces? What can readers expect in your upcoming collection? What I truly love about the line (and of course the great bubble of energy that is Carmen), is that the pieces hit the note between edgy and timeless. Simple lines are key in her pieces, and being a lover of natural crystal jewelery, I was instantenously sold. You'll see that different collections bring to mind a difference in multi-faceted identities; the whimsical free-spirit in Sweet Escape, the perennial romantic in her Messenger series, to the mysterious and enigmatic woman of The Universe. 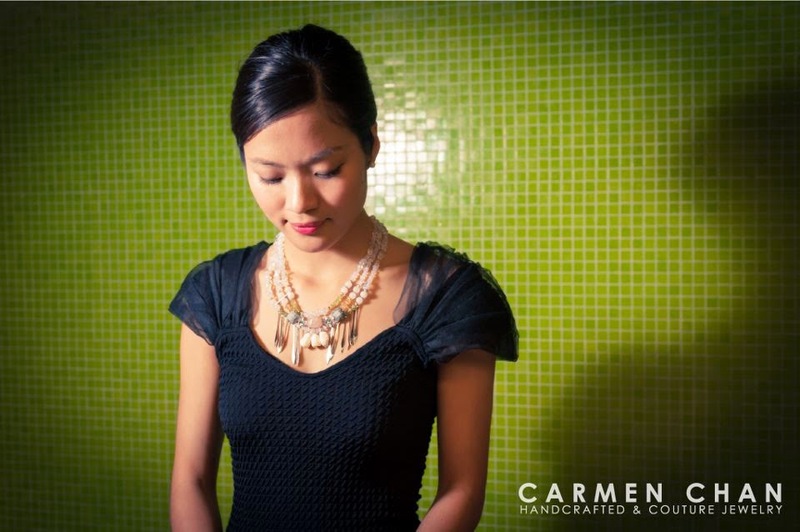 Carmen Chan Jewellery are priced from SGD177 for a Messenger ring to SGD390 for an xtravagantly intricate Sweet Escape statement necklace. She also does customisable pieces upon request, so if you are looking for a truly one of a kind piece that will set you apart for the rest, then do drop her a line and see how she can materialise your vision. Don't forget to stay updated on her works on her facebook page and follow her on Instagram as well. 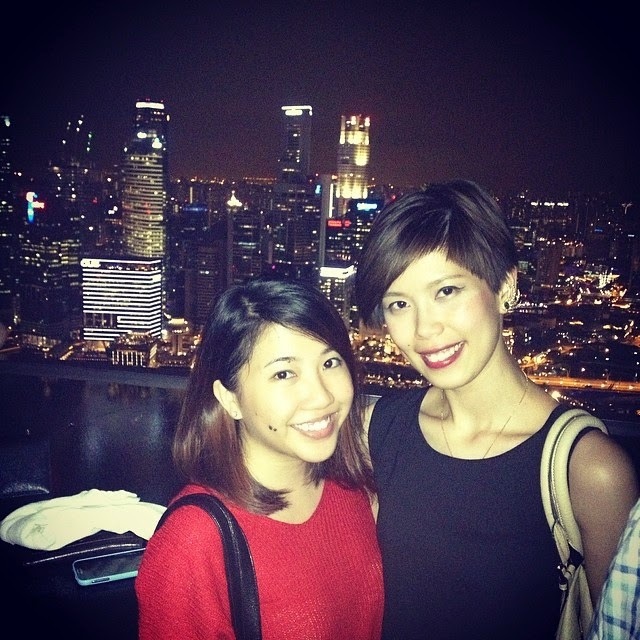 Thanks for sharing with us, Carmen!